Brushing. It's a routine, something we do everyday. But it's something most of us have associated with humans right? Anyway, the point here is: If Siswi can be all aware and do her bit to maintain her smile zone, can't we do our bit? 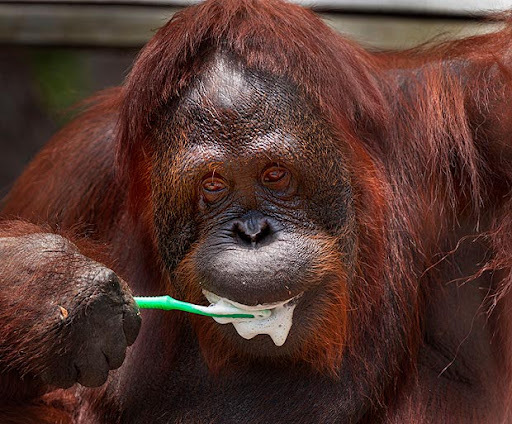 And since we are the evolved species, let's not limit ourselves just to brushing. Go one step further, be aware of the things you can do and the things that are going wrong. Get things looked at and fixed if required. After all you won't be all ok with amputating other parts of the body right? Why be casual about your teeth then? It's not like they grow back! Take care of those pearls! Thank you for brightening up our garden the entire year. 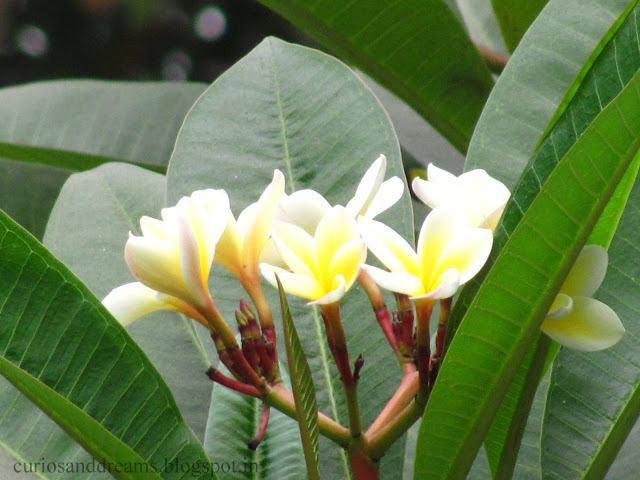 Your delicately fragranced, unblemished white petals, finely tinged with sunshine have no equal. I'm gonna miss you so! *In hindi = Do come back again.